Hurricane Doors | Which Are the Most Secure? Thankfully, you’re not alone. 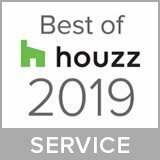 Not only are we the premier provider of hurricane doors in Miami, but we also have decades of knowledge under our collective belt. We know exactly what to look for, what to stay away from, and how to find the perfect impact-resistant doors for your home. 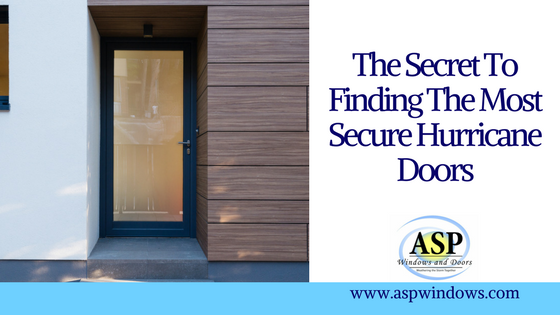 Keep reading to learn the secret to finding the most secure hurricane doors and don’t hesitate to contact us now for a free quote at <a href=”tel:8887828342″>888-782-8342</a>. The first thing to remember is that hurricane doors are useful for a lot more than just hurricanes. While it’s true that there have been a lot of catastrophic hurricanes to hit Florida over the years, the benefits of secure hurricane doors extend beyond just storms. 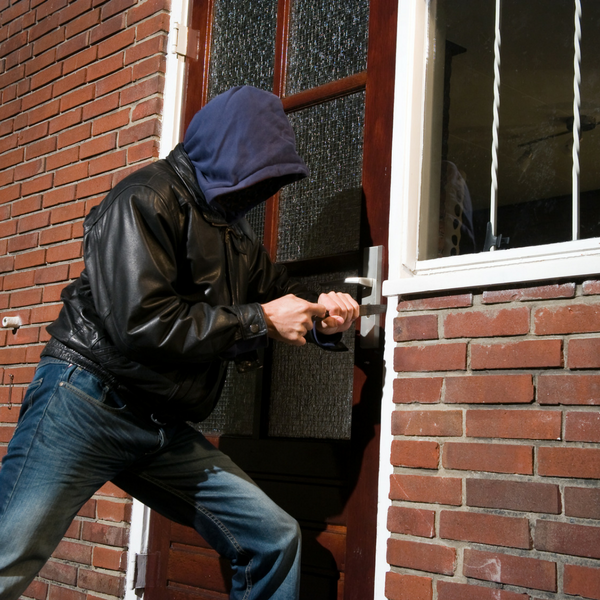 Impact doors protect against break-ins and burglaries. This is due to both their incredibly strong frames and their impact resistant glass. This level of safety brings with it peace of mind and, in some cases, lower homeowners insurance. Sounds like a win-win to us! Hurricane doors can add a level of style to your house. We’re not kidding, some of the more exclusive collections are as well-designed as anything you’d see on a mansion on the French Riviera. These include the Belleville® Fiberglass Door Collection, the Fiber-Classic® Collection, the Wrought Iron Collection, and the Melted Collection. These all blend style with function to deliver a truly stunning look. The very first thing you need to know to find the most secure hurricane door is simple – what are the dimensions you’re looking for? While many impact doors are used as front doors, some are going to be for sliding or paneled doors. Make sure to have all your dimensions ready before starting to compare. Next, you’re going to want to look around at multiple hurricane door providers. Part of this is going to be comparing prices, but most of it is going to be focusing on subtler things. Does the company offer installation? Do they offer information on their manufacturers? What about on the product features? Do they have any certifications? Is the glass used impact resistant? Do they have examples of their completed projects? Does the company have reviews? Are they good or not so popular? You’re going to want to ask and answer all of the above questions. If you find anything less than perfect, we strongly suggest looking elsewhere. Your hurricane doors aren’t just a protective measure, they’re an investment in the future of your home. It pays to be discerning. Finally, you’re going to want to consider whether you want to install the doors yourself or have someone else install them for you. This is a largely personal choice that depends on how handy you are and how much you’re into the DIY movement. While you can save money by installing hurricane doors personally, you also risk improper installation. Now that the secret’s out about finding the most secure hurricane doors, it’s time to start looking! Check out our awesome customer reviews and get your free quote at <a href=”tel:8887828342″>888-782-8342</a>.